I think I have mention in my previous post that I was vacationing in KK for quite sometime. That 'sometime' actually means around 2 weeks so during our second week, me and my ever patient partner decided to change our 'sceneries' and move to another hotel. 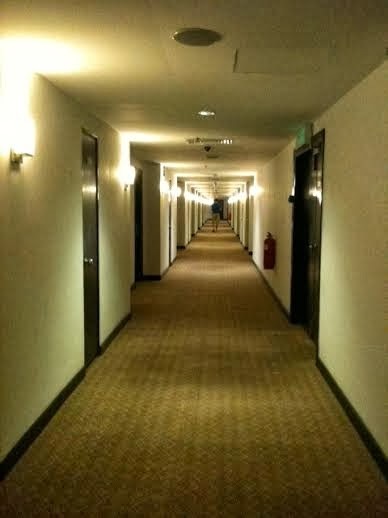 And that folks, is how we ended up in The Klagan Hotel. Situated at Warisan Square shopping mall (yes, not near or beside.. but actually is in Warisan Square), I dare say it's the best middle-high budgeted hotel in KK (but if you wanted to splurged and go big in terms of budget, then may I suggest the Le Meridien hotel right next to it cause trust me, you won't regret it). For one thing, it's practically surrounded with places to shop till you drop. The Warisan Square itself is already a good place to start your shopping spree. But if you are not looking for high end goods or just wanted to do some window shopping, then you can also go to Centre Point shopping mall just in front of it. And during the night, there's the colourful and vibrant looking (I feel like a professional travel writer while typing this - hahaha) high-end waterfront at the other side of the hotel. Not to mention the in-famous Filipino Market right next to the waterfront if you're a little adventurous. Now room wise I have nothing much to comment other than being really satisfied with what I've got. 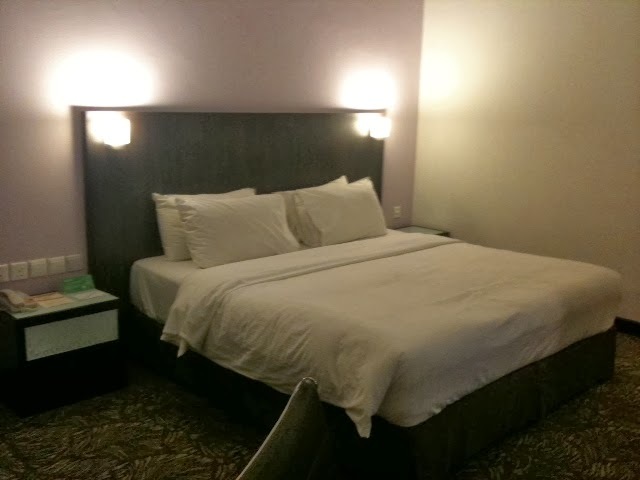 I've actually stayed at the hotel a number of times (even when it is still called Imperial International Hotel a few years back) and have tried several rooms. This time around we decided to take on their Atrium Room (aka Standard Room, the only room that I haven't actually tried) and I must say that I'm impressed. 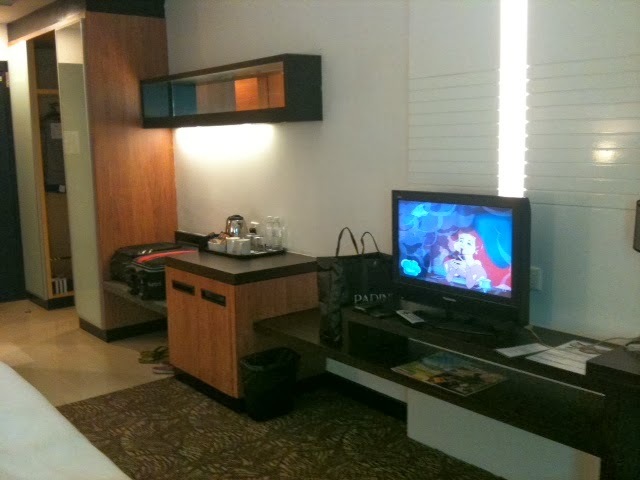 I love the fact that it's still as spacious as any other room in the hotel and the decor is somewhat similar to most rooms so you still have that sleek feel. The bed is the best for me since I got the best sleep in this bed as compared to the other 2 hotels previously visited during my trip. 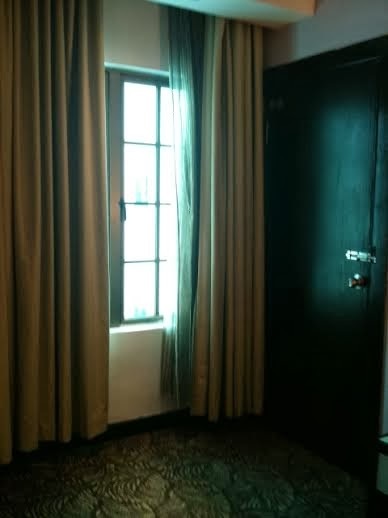 The only down side was that if you're expecting a view from the window, than you'll be disappointed since all Atrium Rooms had the typical internal windows. You'll be looking out at a function room roof, a floor down. 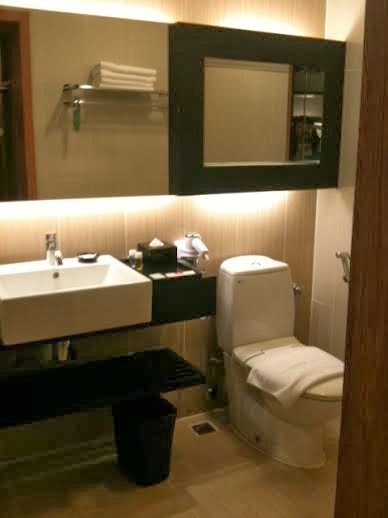 The bathroom is also pretty spacious and I just love the pressure of their showers (unlike my previous hotel - see previous post). 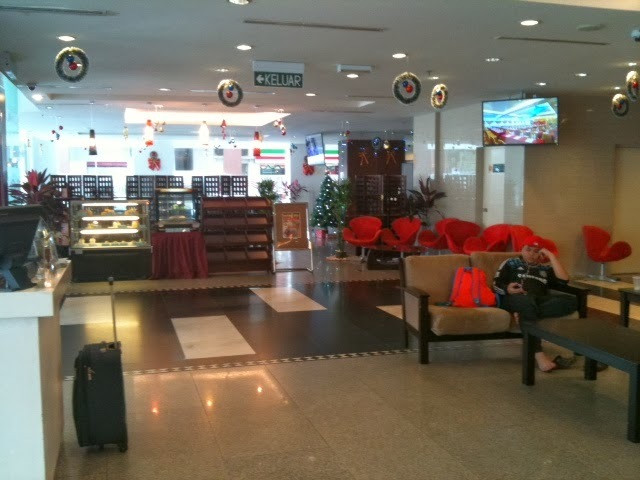 Their reception area is also pretty modern looking and their staff are well-trained and quite helpful. 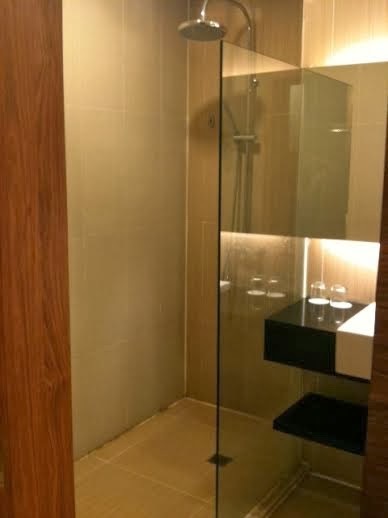 Previously, the hotel actually shared their lifts (elevators) with the general Warisan Square patrons so it can be quite unsafe but I'm now happy to report that now they have 'privatize' the lifts exclusively for hotel guests so you'll feel much safer coming from the internal parking area into the hotel. Oh and it's worth mentioning that the hotel also provide free parking for all guests. Just parked anywhere within the Warisan Square building (not the outside parking though as you'll still be charge) and later give the ticket to be stamped at the reception counter.